Register today for the webinar happening this coming Monday, and help us spread the word on Facebook – Thank you! Two Muckleshoot Fisherman catching salmon. Join Center for Food Safety and Community Alliance for Global Justice for a free webinar on Monday April 30, where we’ll be discussing the risks of genetically engineered salmon in the Northwest region. 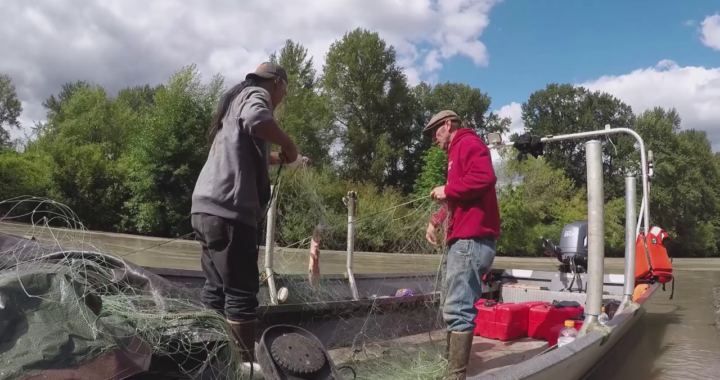 The webinar includes the premiere of the new short film, “Salmon People – The Risks of Genetically Engineered Fish for the Pacific Northwest”, co-produced by Community Alliance for Global Justice, Muckleshoot Food Sovereignty Project and New Canoe Media. Pete Knutson, Loki Fish Co.
Salmon is a cultural and ecological keystone species in the Northwest, making the approval of GE salmon a distinct point of concern for communities in this region. 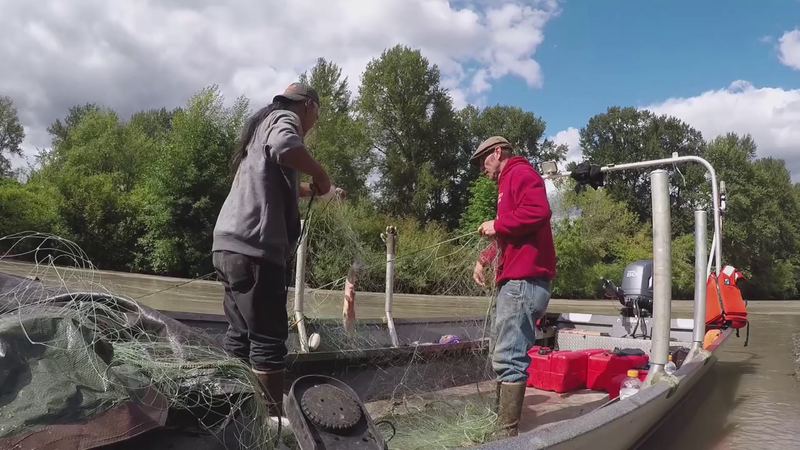 Northwest tribes and tribal members have voiced strong concerns around the potential impacts of corporations producing and distributing GE salmon, and have initiated political opposition at state and national levels in response to the biotech firm, AquaBounty Inc.’s submission for approval to market GE salmon in the U.S.Help spread the word on Facebook. The webinar is co-hosted by Community Alliance for Global Justice and Center for Food Safety, and co-sponsored by Friends of the Earth U.S. and Northwest Atlantic Marine Alliance.